Texas Metal Outlaws album now available! Now available! Click HERE to order and listen to the album. 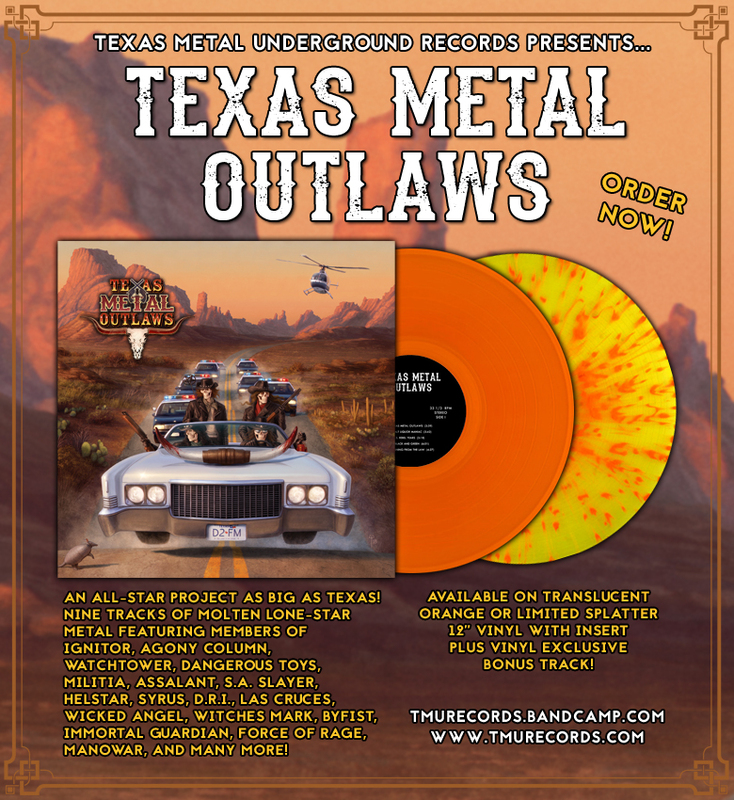 TEXAS METAL OUTLAWS – Coming soon from TMU RECORDS! Texas Metal Outlaws – Coming Soon! 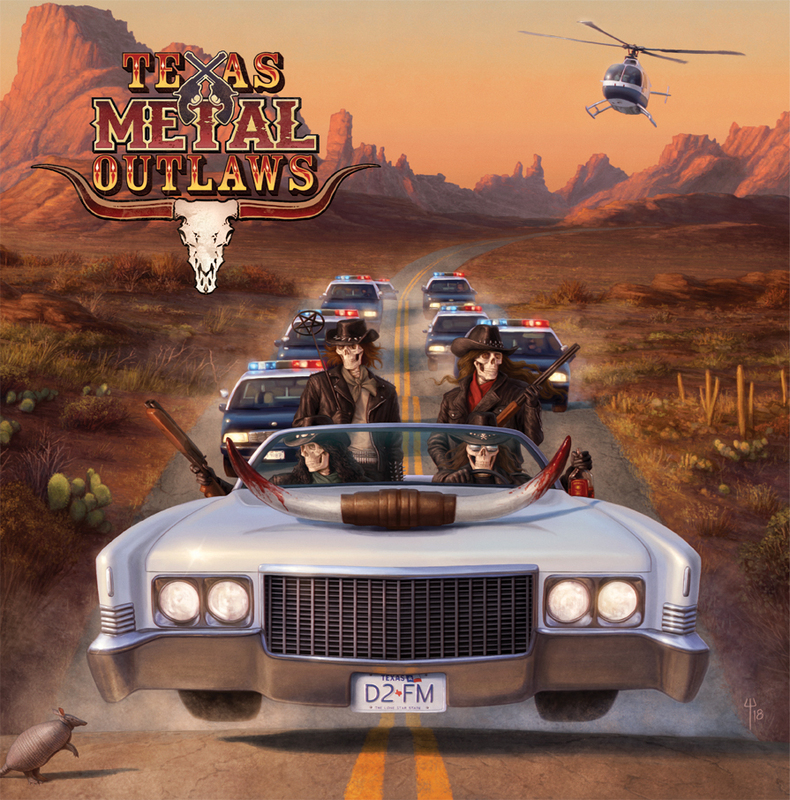 Upcoming release from TMU RECORDS…TEXAS METAL OUTLAWS is an all-star project that keeps one foot in the past while making a huge leap into the future of killer Texas metal. Four years in the making, Texas Metal Outlaws features a stable of musicians instantly familiar to any true fan of the classic Texas scene. Masterminded by Ignitor/Witches Mark guitarist Robert Williams, the full-length LP features performances by Jason McMaster (WatchTower, Dangerous Toys, Broken Teeth), Mike Soliz (Militia, Assalant), Stuart Laurence (Ignitor, Agony Column), Donnie Van Stavern (S.A. Slayer, Riot), James Rivera (Helstar), Larry Barragan (Helstar), Al Berlanga (Syrus), Mark Zamarron (Las Cruces), Felix Griffin (D.R.I. ), and a host of other surprises. Presented on translucent ‘Orange Crush’ vinyl and highly limited splatter vinyl, look for the album to be released in early Fall 2018. Posted in: TMU Records. Tagged: 1987, Rotting Corpse, Texas Reign Of Terror. Posted in: TMU Records. Tagged: tmu records. Currently available releases from Texas Metal Underground Records. Click here to visit our store. 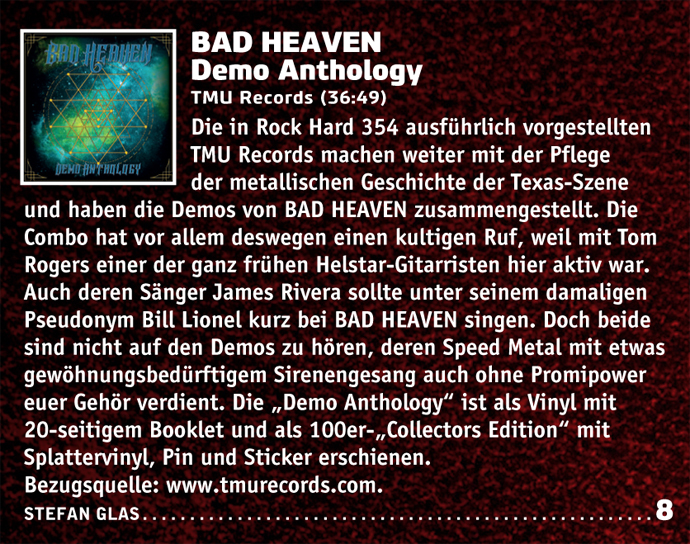 BAD HEAVEN review in Germany’s RockHard magazine! Posted in: TMU Records. Tagged: Bad Heaven, RockHard, tmu records. Bad Heaven review from RockHard magazine. Thanks to Stefan Glas and RockHard Germany for the support! MEDDALLION and SENTINEL back in stock – QUANTITIES VERY LIMITED! Posted in: TMU Records. Tagged: meddallion, sentinel. UPDATE – NOW SOLD OUT! Thanks for your purchases and support! 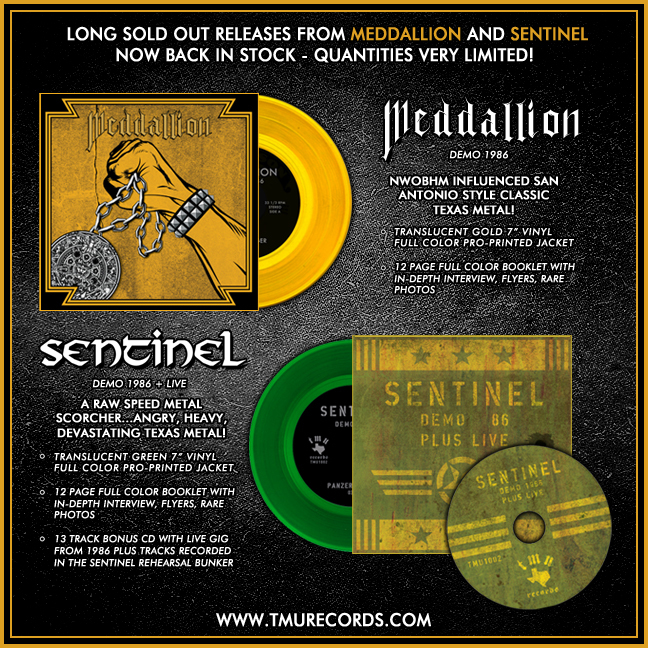 We stumbled across a few copies of the long sold out releases from Meddallion and Sentinel in the TMU RECORDS warehouse. Quantities are extremely limited so grab these quick! BAD HEAVEN gets the vinyl treatment! 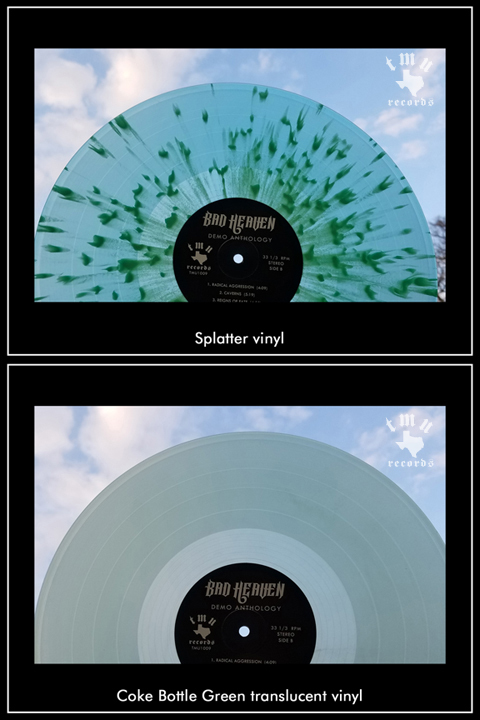 A closer look at the vinyl colors available for the BAD HEAVEN – Demo Anthology LP. Posted in: TMU Records. 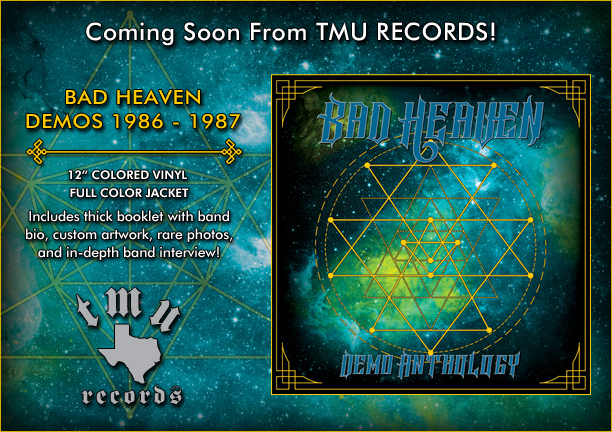 Tagged: Bad Heaven, Coming Soon, tmu records. Purchase vinyl and listen to a full album stream here! Bad Heaven originally formed in Houston, Texas in 1979. By the mid-1980’s the band was firmly established in the thriving Texas heavy metal scene which included such notable contemporaries as WatchTower, Militia, SA Slayer, and Helstar. The band wrote up-tempo songs with shredding dual-lead guitars in the classic U.S. Metal style, while also drawing influences from such European greats as Judas Priest and Mercyful Fate. A four song demo titled ‘Crystal Dagger’ was recorded in 1986 followed by another four song cassette in 1987 called ‘Dragon Lord’. Despite getting good reviews and attention from well known European publications like RockHard and Metal Forces, the band remained somewhat obscure and the demos have become a bit of a ‘cult classic’ known only to true die-hard underground metal fanatics. 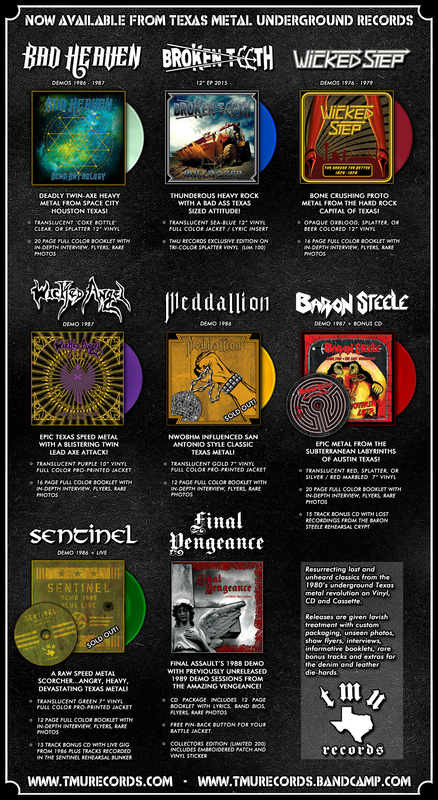 TEXAS METAL UNDERGROUND RECORDS has resurrected these tapes, finally giving these classic songs a proper release on multi-colored vinyl. Each copy includes a thick full color booklet packed with rare photos and an in-depth band interview, and an oversized 11×17 gig flyer reproduction. The ‘Collector’s Edition’ on splatter vinyl is limited to 100 copies and includes a pin-back button for your denim vest and a full color sticker. TMU RECORDS featured in Germany’s Rock Hard magazine! 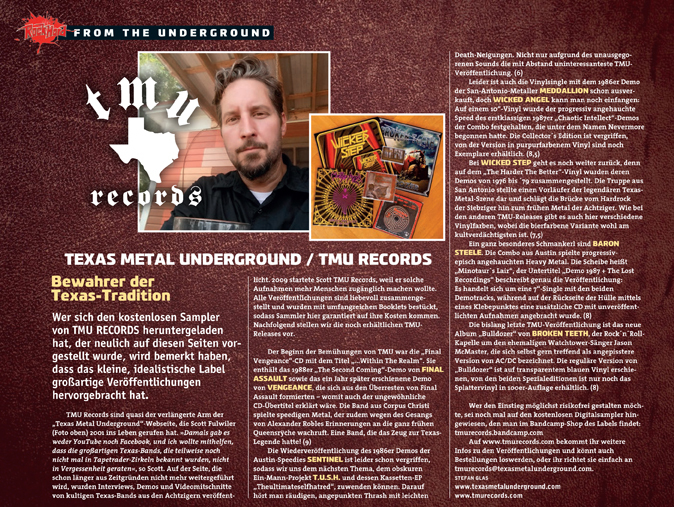 Germany’s premier magazine for heavy music features TMU RECORDS in their November 2016 issue. Founded in 1983, Rock Hard has been called the “Zentralorgan” (“Central organ”) of the heavy metal fans in Germany. The monthly magazine contains reports, interviews, specials, reviews, news and all other content regarding hard rock and heavy metal music. It is a distinct honor for TMU RECORDS to grace the pages of such a well respected and widely-read publication. Prost! TMU RECORDS featured in the November 2016 issue of Rock Hard magazine. 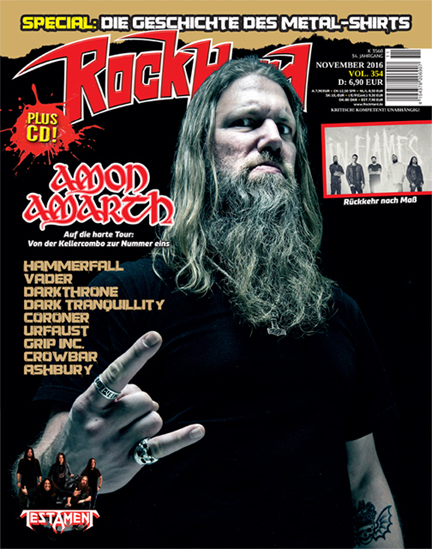 Cover of Rock Hard – November 2016 issue. 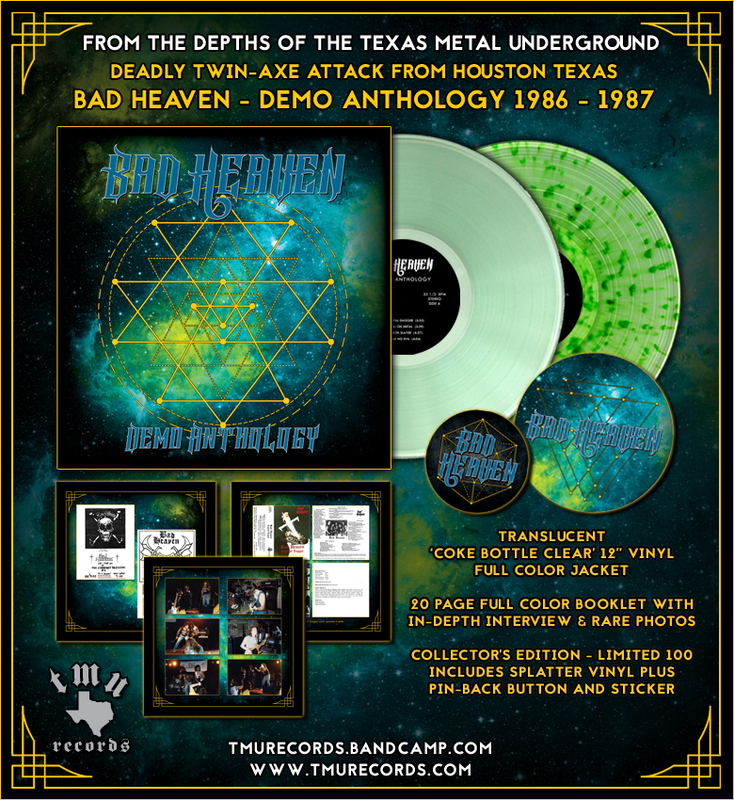 Bad Heaven – Demo Anthology on 12″ colored vinyl – Coming Soon! Posted in: TMU Records. Tagged: Coming Soon, tmu records. 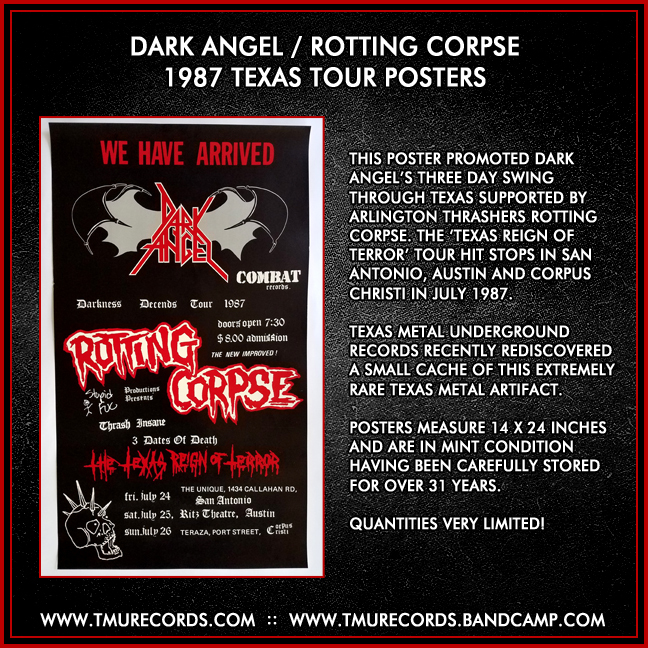 Resurrecting lost and unheard classics from the 1980’s underground Texas metal revolution on Vinyl, CD and Cassette. All releases are given lavish treatment with custom packaging, unseen photos, show flyers, interviews, informative booklets, rare bonus tracks and extras for the denim and leather die-hards.